BRADFORD MANUFACTURING WEEKS. 7th - 18th October 2019. An initiative which educates young people about career opportunities in the manufacturing sector is doubling its targets for 2019. 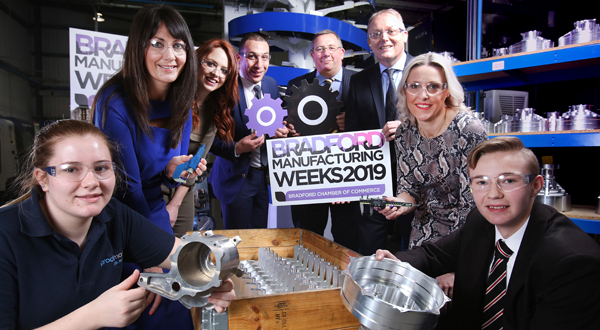 Led by Bradford Chamber and delivered in partnership with Bradford-based school and career specialists Aspire igen with primary sponsorship from Barclays, Bradford Manufacturing Weeks 2019 aims to double involvement from the 44 manufacturers who took part last year and reach three quarters of the district’s 49 secondary schools. For regular updates follow on Twitter.